Roaring Brook Press, 9781596436558, 169pp. Felix has nightmares. Every night when he falls asleep he goes to the land of monsters, and when he wakes up he's back in his bed with mud on his feet and torn pajamas. One night Felix meets a boy who knows how to fight the monsters, a boy who looks just like him and is also named Felix. 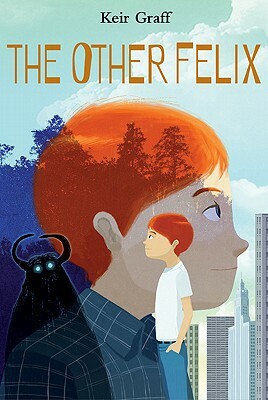 "The Other Felix" is a fantastical, psychological story of growing up for kids who have graduated from "Where the Wild Things Are" but are still fascinated by the world of dreams. Keir Graff is the editor of "Booklist Online" and the author of several adult novels. He lives in Chicago with his wife and two sons. Visit him at keirgraff.com .